MS Flanges, Mild Steel Flanges, MS Flanges Manufacturers & Exporters, MS Flanges Suppliers. 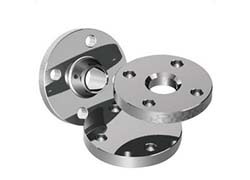 We Royal Steel India, are one of the leading Manufacturer, Exporter & Supplier of Mild Steel Flanges. ASTM A-182 & A-240 : F - 304, 304H, 304L, 304LN, 316, 316H, 316L, 316LN, 316Ti, 309, 310, 317L, 321,347, 904L Etc.